In this post, let us learn the differences between certain terms related with sessions of Parliament. The terms we deal here include – summoning, adjournment, adjournment sine die, prorogation and dissolution. 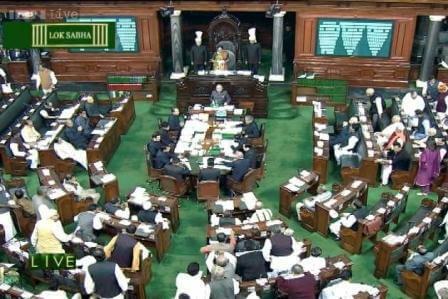 A session of Indian Parliament is the time period during which a House meets almost every day continuously to transact business. There are usually three sessions in a year. They are the Budget Session (February to May); the Monsoon Session (July to September); and the Winter Session (November to December). A session contains many meetings. Each meeting has two sittings – morning sitting from 11 am to 1 pm and post-lunch sitting from 2 pm to 6 pm. A sitting of Parliament can be terminated by adjournment, adjournment sine die, prorogation or dissolution. Technically, a session of Indian Parliament is the period between the first sitting of a House and its prorogation or dissolution. The period between the prorogation of a House and its reassembly in a new session is called ‘recess’. Summoning is the process of calling all members of the Parliament to meet. It is the duty of Indian President to summon each House of the Parliament from time to time. The maximum gap between two sessions of Parliament cannot be more than six months. In other words, the Parliament should meet at least twice a year. An adjournment suspends the work in a sitting for a specified time, which may be hours, days or weeks. In this case, the time of reassembly is specified. An adjournment only terminates a sitting and not a session of the House. The power of adjournment lies with the presiding officer of the House. Adjournment sine die means terminating a sitting of Parliament for an indefinite period. In other words, when the House is adjourned without naming a day for reassembly, it is called adjournment sine die. The power of adjournment sine die lies with the presiding officer of the House. Note: The presiding officer of a House can call a sitting of the House before the date or time to which it has been adjourned or at any time after the House has been adjourned sine die. Prorogation means the termination of a session of the House by an order made by the President under article 85(2)(a) of the Constitution. Prorogation terminates both the sitting and session of the House. Usually, within a few days after the House is adjourned sine die by the presiding officer, the President issues a notification for the prorogation of the session. However, the President can also prorogue the House while in session. Note: All pending notices (other than those for introducing bills) lapse on prorogation and fresh notices have to be given for the next session. A dissolution ends the very life of the existing House, and a new House is constituted after general elections are held. Rajya Sabha, being a permanent House, is not subject to dissolution. Only the Lok Sabha is subject to dissolution. Order of President: If President is authorized by CoM, he can dissolve Lok Sabha, even before the end of the term. He may also dissolve Lok Sabha if CoM loses confidence and no party is able to form the government. Once the Lok Sabha is dissolved before the completion of its normal tenure, the dissolution is irrevocable. 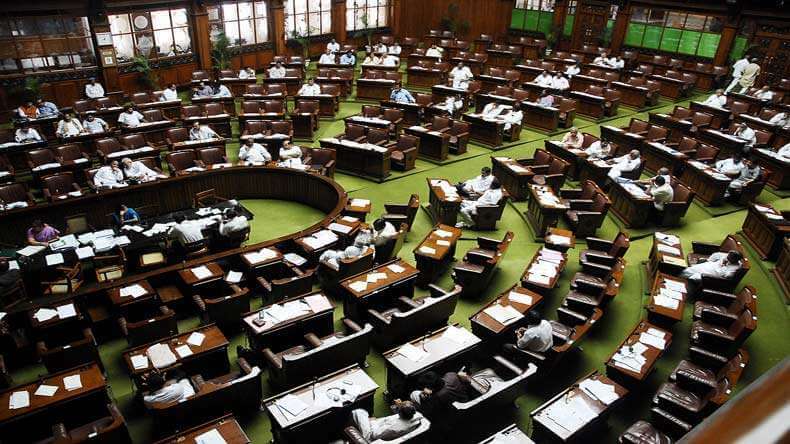 Note: When the Lok Sabha is dissolved, all business including bills, motions, resolutions, notices, petitions and so on pending before it or its committees lapse. Adjournment – terminates a sitting. Prorogation – terminates a session. Dissolution – terminates the life of a House. Best comprehensive and illustrative information. Can a parliament once adjourned sine die, prior to early or automatic dissolution, be reassembled to transact business by the Speaker ? If the thinking was that, there was no other pending parliament business and adjournment sine die was invoked to lead up to formal dissolution by the president and then general elections , would it have been more tidier to have parliament formally prorogued instead, so as to lapse all pending business and then general elections?